Veera Bahu who marked his debut as an actor in Tamil with Gautham Vasudev Menon's psychological thriller film Nadunisi Naaygal and he will next be seen in a political satire film titled Arasiyalla Idhellam Saadharnamappa directed by debutant Avinaash Hariharan. 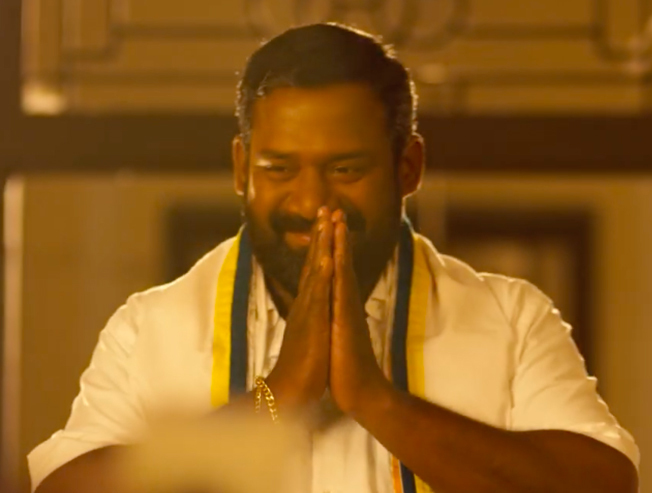 The trailer features Veera Bahu, Robo Shankar and Malavika Nair which surely is very interesting and fun. Check out the trailer below!